“Conie” joined the Yankees in 1995 and helped them reach postseason play in each of the six years he wore the pinstripes. A five-time All Star (twice as a Yankee), David had two 20-victory seasons during his 17 years in the big leagues and posted 21 shutouts. The year before he became a Yankee, he had been voted the AL Cy Young award-winner for his 16-5 season with the Royals. The Royals then traded him to the Blue Jays and Toronto traded him to New York after the 1995 All Star break for three Yankee prospects. Cone finished with a 64-40 record as a Yankee and 194-126 lifetime. His best year in New York was his 20-7 season in 1998. His absolute greatest moment in pinstripes occurred on July 18, 1999, when he pitched a perfect game against the Montreal Expos. Does anyone out there remember who made the last out of that game for the Expos? It was Expo shortstop Orlando Cabrera whose popup was caught in foul territory by Yankee third baseman, Scott Brosius. Mr. Cone won a total of five World Series rings including four with the Yankees plus one with the Blue Jays in 1993. The right-hander had an overall 8-3 record in the postseason including his six wins and a loss in pinstriped fall ball. Cone now is an analyst on Yes Network broadcasts of Yankee games. I like him in that role. When Jorge Posada was struggling with his reduced role with the 2011 Yankees, Cone talked about his own personal fight with the fact he could no longer play the game. His final Yankee season in 2000 had been the worst of his seventeen-year big league career, finishing with a 4-14 record and an ERA near seven. When the Yankees did not try to re-sign him, Cone signed with the Red Sox for $1 million and started for Boston during the 2001 season. He actually pitched pretty well for the Yankees’ arch-rivals, finishing the year with a 9-7 record. His best start of that season took place on the second day of September at Fenway Park against his old New York teammates in a classic pitchers’ duel between him and Mike Mussina. I remember watching every pitch of that game. 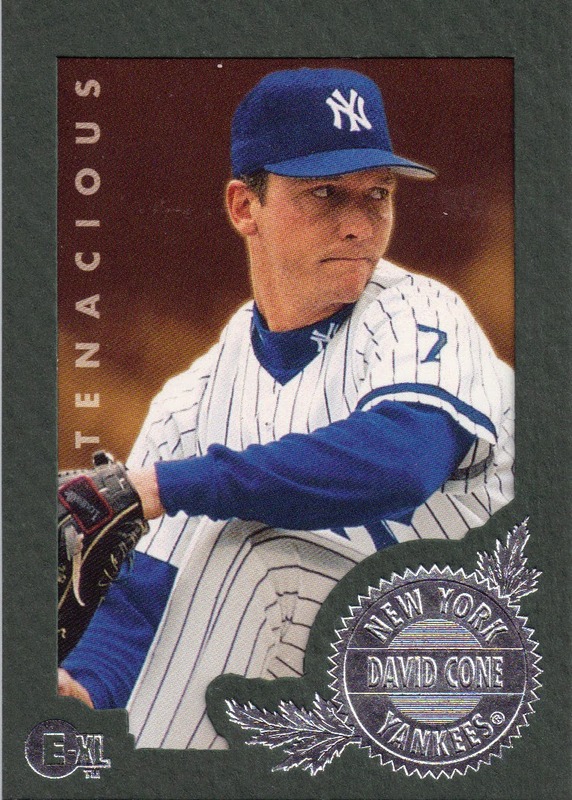 Cone was brilliant for eight innings, striking out eight and holding New York scoreless until Enrique Wilson’s ground ball double scored Tino Martinez with one out in the top of the ninth. Mussina was even better, pitching a perfect game until Carl Everett, pinch-hitting for Red Sox catcher Bob Oliver singled with two outs in the ninth. Mussina won the game 1-0 but Cone proved once again that he was a warrior on the mound. I thought he was gone for good after that season but he reappeared two years later in a Met uniform and won his first start of the 2003 season for the Amazin’s. But then he got hammered in his next three and finally called it quits for good. During that 2011 discussion about Posada coming to terms with the end of his playing career, Cone admitted he wished he had retired after his final year in pinstripes. Also born on this date was this Yankee middle reliever who led the AL in appearances in 2006.